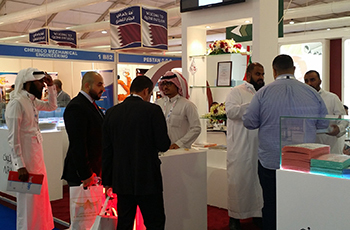 Arnon Plastic Industries participated at The Big 5 Saudi, which was held in Jeddah last month. Saudi-based Arnon Plastic Indus tries Company has recently launched production of thermal insulation panels made from polystyrene (PS) to meet the growing demand for insulation products in the regional market. These panels are produced using the extrusion process. The company, an affiliate of Al Fozan Group of Companies – a leading trading, investment and industrial group in Saudi Arabia – specialises in the production of polyethylene (PE) rolls and sheets for the construction sector in addition to food trays and containers made from PS and polyethylene terephtalate (PET). The company produces a wide range of high quality products which include PE foam products (heat insulation, carpet and parquet underlay, back-up rod, sound insulation and wrapping material), PET products (food containers and packaging material), and PS foam products (trays and dishes). Arnon Plastic is keenly looking at expanding its horizons in the region and intends to strengthen its presence in the Qatari and Dubai markets as part of its strategic expansion plans. Towards this end, the company regularly visits these markets and intends to participate in a number of specialised trade fairs in order to keep abreast of customer requirements. 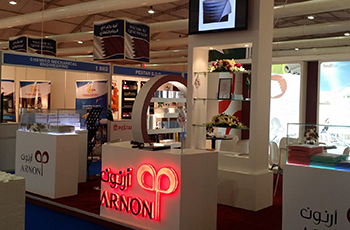 Arnon Plastic Industries’ stand at The Big 5 Saudi, which was held in Jeddah last month. Established in 1999, Arnon Plastic Industries commenced its production in early 2000. It has four factories located at the Second Industrial City in Dammam, with the PS insulation panel factory having been the latest addition to its production facilities. In addition, the company set up another factory in Riyadh last year. The company’s sales offices are located in Dammam, Riyadh and Jeddah.